The four artists featured in Media Visions poetry contest Media Vision has launched a spoken word poetry contest featuring four artists videotaped expressing soulful insights on the value of audio in shaping human life and experience. All performances can be viewed on Media Vision #AudioMatters! 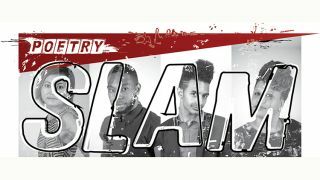 Poetry Slam project page, with online voting now open for all to get involved. Media Vision’s goal is to bring audio back as the prime focus in meeting environment design, to facilitate quick and accurate communication. Inspired by this TED Talk (2012, Julian Treasure: "Why architects need to use their ears"), the Audio Matters campaign was implemented through a series of art projects: first a self-expression wall at the InfoComm booth in 2015, this poetry slam contest, and another undisclosed project in store for 2017. With its poetry slam, Media Vision has given complete freedom to four spoken word artists selected within the New York City scene, to find original and perceptive angles to the question of “why audio matters.” Media Vision is inviting all viewers to vote on the best performance and spread the news. The contest will run between July 1 and July 15, 2016. The winning artist will receive extra recognition and compensation, and voters will have a chance to win tickets to a local performance of their choice. Check out the Media Vision website to get more information about the contest and to watch and vote.